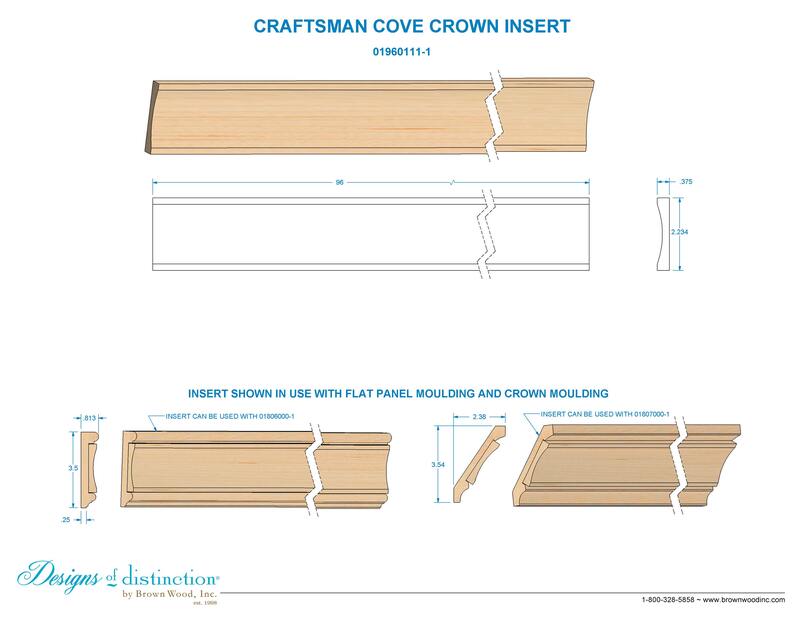 Simply sophisticated, the Craftsman Cove Crown Insert complements many styles and designs. Use on it’s own or combined with our Flat Panel or Create-A-Crown® Moulding to create your own exclusive design. The Craftsman Cove Crown Insert is part of our Arts & Crafts Collection.